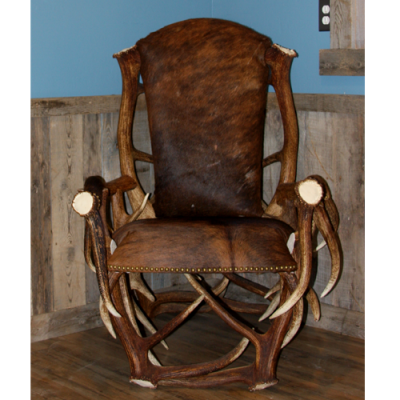 Maybe a little over the top, but always popular are our antler chairs. 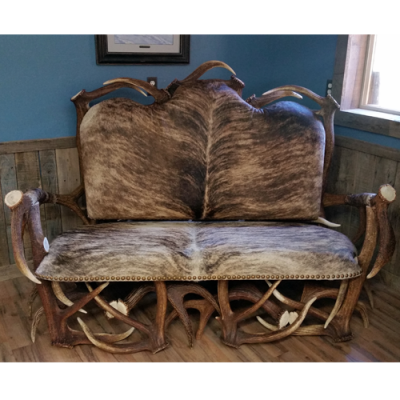 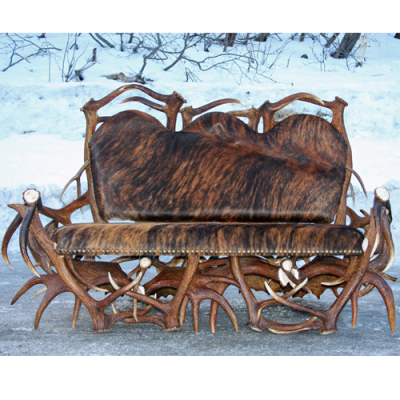 We build our antler chairs with moose, elk, and deer antler. 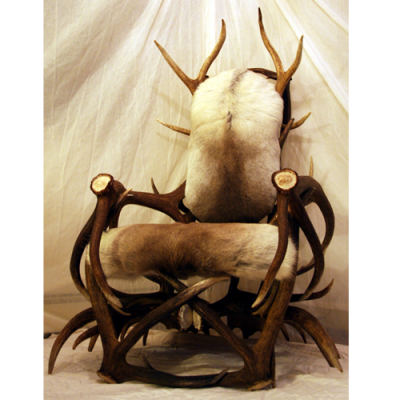 We upholster with hair on hide leather or standard leather. 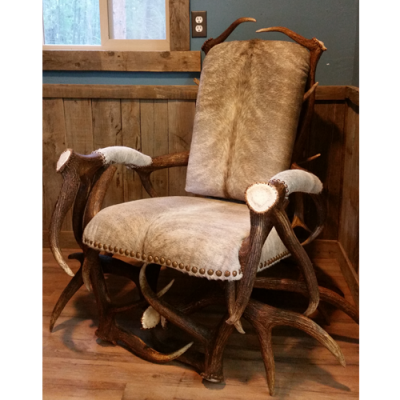 We can build conservative antler chairs, but often have customers ask for “over the top” designs. 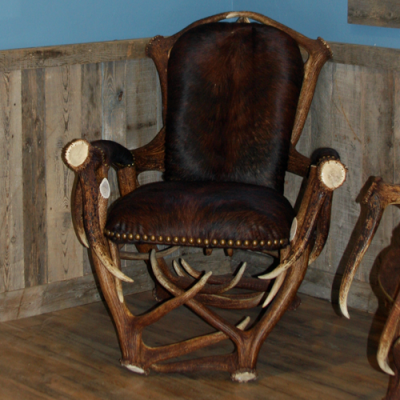 Our antler chairs have been showcased in restaurants, ultimate man caves, offices, and used on theatrical sets. 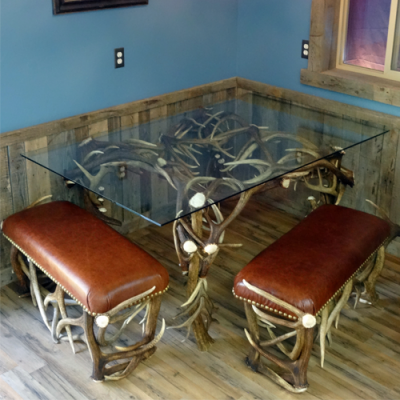 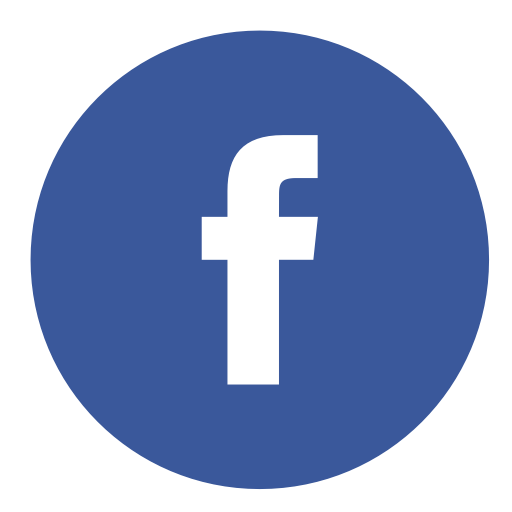 Contact us for your design needs.